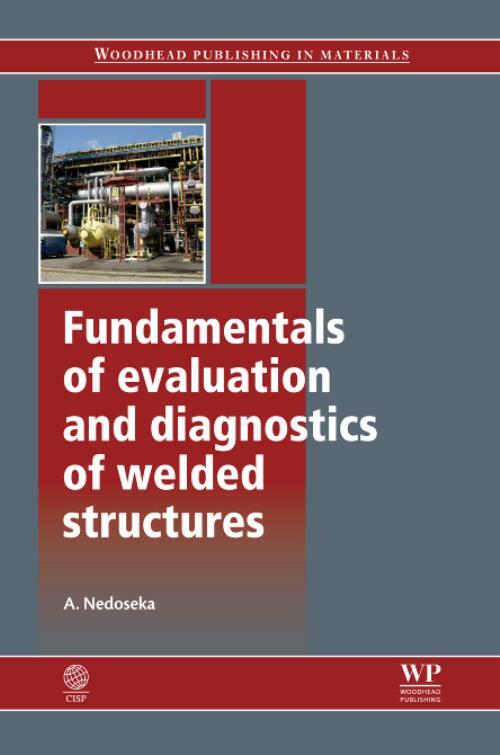 Fundamentals of Evaluation and Diagnostics of Welded Structures provides an essential guide to the key principles and problems involved in the analysis of welded structures. Chapter one discusses design issues, key equations and calculations, and the effects of varied heat sources in relation to the temperature field in welding. Chapter two goes on to explore welding stresses and strains. Fracture mechanics and the load-carrying capacity of welded structures are the focus of chapter three. Chapter four considers diagnostics and prediction of the residual life of welded structures, whilst acoustic emission techniques for the analysis of welded structures are reviewed in chapter five. Finally, chapter six supplies supplementary information on numerical techniques and other tests for welded structures. With its distinguished author and detailed coverage, Fundamentals of evaluation and diagnostics of welded structures is an indispensable guide for welding and structural engineers as well as those researching this important topic. Professor Anatoliy Yakovlevich Nedoseka is head of the Technical Diagnostics and Non-destructive Testing (NDT) Department at the E.O. Paton Electric Welding Institute (PEWI) of the National Academy of Sciences, Ukraine.